Today Steve talks about his markets and offers insights on school shows, library shows and private events. We discuss Steve’s Tiger routine shown on his lecture DVD. If you missed the routine, check out Steve’s HomeVENTion submission on this blog. Discussing puppet manipulation and how it can lead to concepts and ideas when developing material. To learn more about Steve Petra, visit his web site. 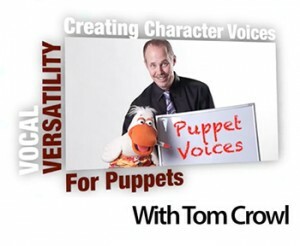 In part 13 of 16 of my interview with Steve Petra, Steve discusses range of motion and physical characteristics when working with puppets. Part 12 of 16 for this enjoyable and educational interview with Steve Petra. Today, Steve talks about his connection with Steve Axtell.